What are Lean To Conservatories? 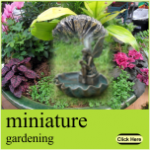 Conservatories were used centuries ago for growing plants. They are now being constructed for adding some extra space to home. Wooden conservatories can give a traditional or classic look to your home. You can also make use of uPVC, aluminum, glass and other materials for conservatories. Bespoke conservatories can be made based on the needs of the family. Lean to conservatories are popular types which can add value to your home. Lean to conservatories are those which lean on one or two sides of the main structure of home. They are originated from the greenhouses which were built in cold climates against the Southern wall. They are built these days for creating a desirable and design-flexible addition to a house. 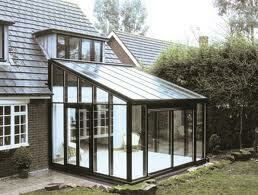 Lean to conservatories mostly use one wall of a house and encloses an area around and also above it. You can prefer building a lean to conservatory because of the below mentioned benefits. The materials and construction costs are less for building a lean to conservatory. This is because the conservatory leans on one side of the main house. As they lean, they are near or close to the house. So it is easy to provide any supplies such as heating, running water, electrical points and so on. It can thus reduce the electrical and plumbing costs. They can match to the modern style of houses and can be build with different materials. You can connect doors to the house connecting the main house so that it is easy to access the conservatory. A good design and planning of the lean conservatory gives an ambient look to the main house. One of the most important thing regarding lean to conservatories is that they are relatively cheaper than any other models. So people are interested to build lean to models. Its nice innovation to use conservatories in home. It is concept of green house effect. Your blog gives brief knowledge about this topic.